This gorgeous craftsman-style home is nestled in a quiet neighborhood in South Tampa. 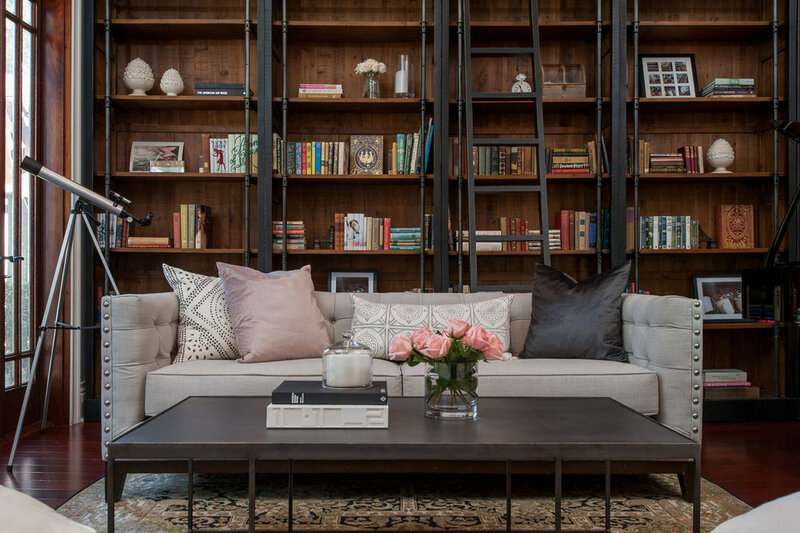 Chris Rossi Studio was tasked with refinishing and furnishing this 4-bedroom home for fantastic clients who are both award-winning business owners, world travelers and avid rare book collectors. 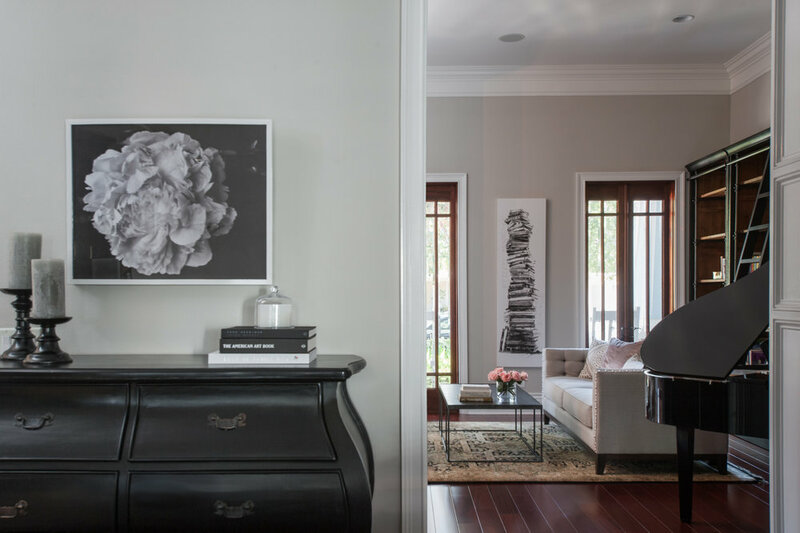 The approach was transitional, tying in with the original craftsman architecture of the home, while also creating a clean fresh look. The original home was dark and had a different color scheme in each room; dividing the spaces and the home. Our goal was to open up the space. 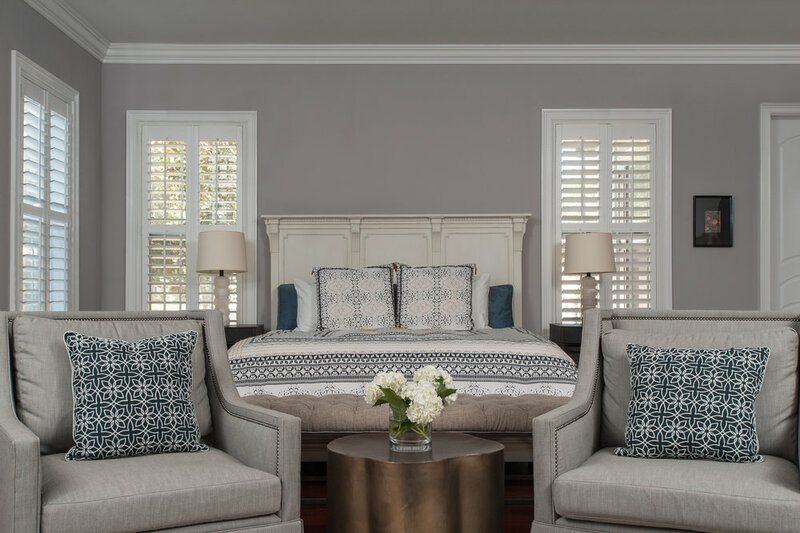 We chose a single paint color to link the rooms together and allow them to open upon each other. A custom antiqued mirror over the fireplace, new light fixtures throughout as well as all new furnishings were within our scope. The result was a stunning, elegant yet comfortable, livable environment perfect for our Client who loves to entertain.